Indian media is being shamed for allegedly reporting insensitive interviews of Nepal earthquake survivors. 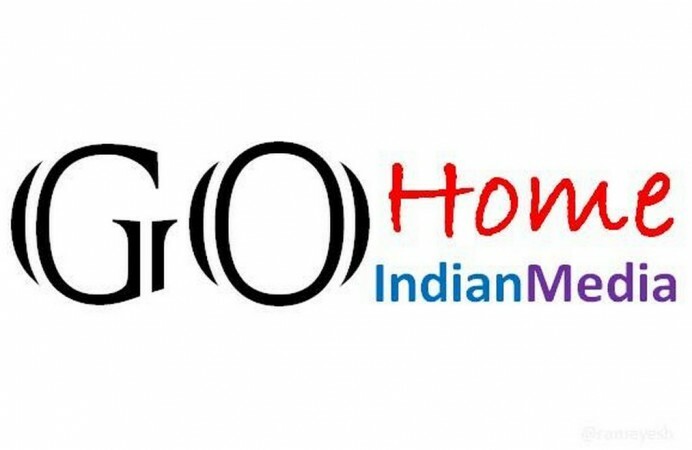 On a day when the world celebrates free press and pays tribute to journalists who lost their lives in the line of duty, people on social media platform Twitter are shaming the Indian media with trending hashtag #GoHomeIndianMedia. Though this is not the first time that the Indian media is being slammed by people, this incident gains prominence because the day marks the freedom of press and their functioning as the fourth pillar of the Indian democracy. However, the twitterati believe that the media has been failing on its duty for quite some time now. Hitting out at news channels and journalists, twitterati from across Nepal and India are asking Indian mediapersons to leave the Himalayan nation and return to their homes. They have accused the media of making up stories, being insensitive with interviews of earthquake survivors and the 'dramatic TV serials-like' news coverage.